MANILA - President Rodrigo Duterte on Wednesday took another swipe at former Iloilo City Mayor Jed Mabilog, a local official he has linked to the drug trade who fled the country due to fears for his and his family’s life. Duterte had tagged Mabilog as one of the so-called narco-politicians in the country. He said the former mayor was a protector of the drug trade, an allegation the latter has denied. “‘Yung isa hindi na umuwi, si Magtibay (sic), I have been looking for him. Hindi na siya umuwi kasi papatayin ko talaga siya,” Duterte said in a speech in Tarlac City. Mabilog left in September 2017 on supposed sick leave but never returned. In October, the Office of the Ombudsman confirmed his dismissal over serious dishonesty for failing to properly account for his sources of wealth in his Statement of Assets Liabilities and Net Worth (SALN). Duterte mentioned the former Iloilo City mayor and other slain “narco-politicians” to debunk accusations that only the poor were being targeted in his war on drugs, a controversial policy that has earned domestic and international criticism. “Sabihin nila, ‘bakit si Duterte pinapatay lang niya ‘yung mahihirap?’ You are wrong. Hindi ko pinapatay ang mahihirap. Ang pinapatay kong mahihirap ‘yung kriminal,” Duterte said. Under the Duterte administration, several alleged “narco-politicians” have been killed in supposed legitimate police operations, namely Albuera, Leyte Mayor Rolando Espinosa Sr. and Ozamiz City Mayor Reynaldo Parojinog. Espinosa was killed in a predawn raid in his detention cell in November 2016, while Parojinog was among 16 killed in a police operation in August last year. Duterte and other government officials are facing accusations of crimes against humanity before the International Criminal Court for alleged summary killings in the drug war. The ICC recently started its initial review into the communication filed by Jude Sabio, lawyer of self-confessed hitman Edgar Matobato. Duterte has, however, rejected the ICC's jurisdiction. Duterte’s allies have also downplayed the ICC’s preliminary examination, saying the tribunal will ultimately decide it has no jurisdiction over the charges. 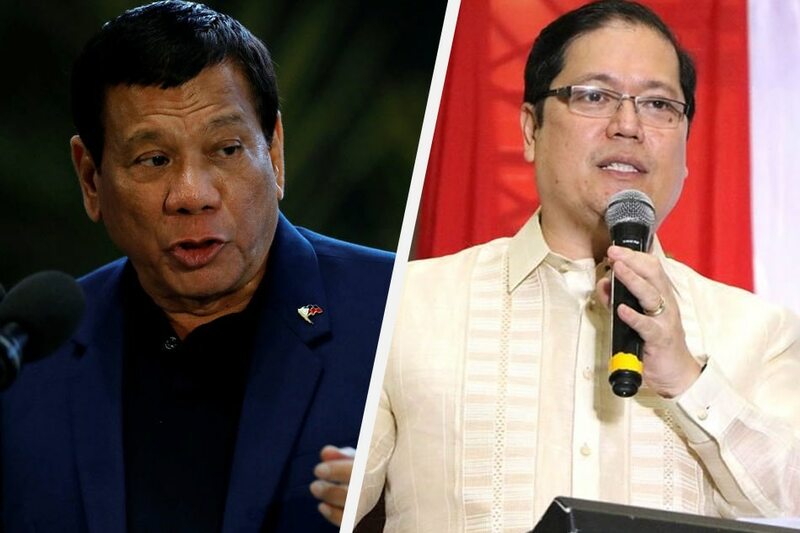 Presidential Spokesperson Harry Roque earlier said the administration is confident that the proceedings against Duterte and other officials would not prosper beyond the preliminary examination phase, noting the long time it takes time for complaints against those accused to progress in the ICC. The administration has denied involvement in extrajudicial slays, saying the more than 4,000 drug suspects killed in police operations all resisted arrest, prompting officers to defend themselves.